Communication No. 45/1979 : Colombia. 31/03/82. 11.1 The Human Rights Committee has considered the present communication in the light of all information made available to it by the parties, as provided in article 5 (1) of the Optional Protocol. The Committee bases its views on the following facts, which are not in dispute or which are unrefuted by the State party. 11.2 Legislative Decree No. 0070 of 20 January 1978 amended article 25 of the Penal Code “for so long as the public order remains disturbed and the national territory is in a state of siege” […]. The Decree established a new ground of defence that may be pleaded by members of the police force to exonerate them if an otherwise punishable act was committed “in the course of operations planned with the object of preventing and curbing the offences of extortion and kidnapping, and the production and processing of and trafficking in narcotic drugs”. 11.3 On 13 April 1978, the judge of the 77th Military Criminal Court of Investigation, himself a member of the police ordered a raid to be carried out at the house at No. 136-67 Transversal 31 in the “Contador” district of Bogota. The order for the raid was issued to […] [the] Bogota Police Department. The raid was ordered in the belief that Miguel de German Ribon, former Ambassador of Colombia to France, who had been kidnapped some days earlier by a guerrilla organization, was being held prisoner in the house in question. 11.5 Although the police initially stated that the victims had died while resisting arrest, brandishing and even firing various weapons, the report of the Institute of Forensic Medicine […], together with the ballistics reports and the results of the paraffin test, showed that none of the victims had fired a shot and that they had all been killed at point-blank range, some of them shot in the back or in the head. It was also established that the victims were not all killed at the same time, but at intervals, as they arrived at the house, and that most of them had been shot while trying to save themselves from the unexpected attack. In the case of Mrs. Maria Fanny Suarez de Guerrero, the forensic report showed that she had been shot several times after she already died from a heart attack. 11.6 The Office of the State Counsel for the national police instituted an administrative inquiry into the case. The administrative inquiry was completed and the Office of the State Counsel for the national police requested the dismissal of all the members of the patrol involved in the operation. This dismissal was ordered on 16 June 1980. 11.7 In addition, the judge of the 77th Military Criminal Court was ordered to hold a criminal investigation into the case. […] This investigation did not prove that the victims of the police action were kidnappers. In July 1980, the Inspector General of Police, acting as judge of first instance, issued an order for all criminal proceedings against those charged with the violent death of these seven persons during the police operation on 13 April 1978 in the “Contador” district of Bogota to be discontinued. This order was grounded on article 7 of Decree No. 0070. A Higher Military Court as a result of an ex officio review, annulled the decision of the Inspector General of Police. On 31 December 1980 a military tribunal […], to which the case had been referred for retrial, again acquitted the 11 members of the Police Department who had been involved in the police operation. The acquittal was again based on Decree-Law No. 0070 of 1978. 12.2 The Committee notes that Decree No. 0070 of 1978 refers to a situation of disturbed public order in Colombia. The Committee also notes that the Government of Colombia in its note of 18 July 1980 to the Secretary-General of the United Nations […], which was designed to comply with the formal requirements laid down in article 4 (3) of the Covenant, made reference to the existence of a state of siege in all the national territory since 1976 and to the necessity to adopt extraordinary measures within the framework of the legal regime provided for in the National Constitution for such situations. […] The Committee observes that […] according to article 4 (2) of the Covenant there are several rights recognized by the Covenant which cannot be derogated from by a State party. These include articles 6 and 7 which have been invoked in the present case. The right enshrined in this article is the supreme right of the human being. It follows that the deprivation of life by the authorities of the State is a matter of the utmost gravity. […] The requirements that the right shall be protected by law and that no one shall be arbitrarily deprived of his life mean that the law must strictly control and limit the circumstances in which a person may be deprived of his life by the authorities of a State. 13.2 In the present case it is evident from the fact that seven persons lost their lives as a result of the deliberate action of the police that the deprivation of life was intentional. Moreover, the police action was apparently taken without warning to the victims and without giving them any opportunity to surrender to the police patrol or to offer any explanation of their presence or intentions. There is no evidence that the action of the police was necessary in their own defence or that of others, or that it was necessary to effect the arrest or prevent the escape of the persons concerned. Moreover, the victims were no more than suspects of the kidnapping which had occurred some days earlier and their killing by the police deprived them of all the protections of due process of law laid down by the Covenant. In the case of Mrs. Maria Fanny Suarez de Guerrero, the forensic report showed that she had been shot several times after she had already died from a heart attack. There can be no reasonable doubt that her death was caused by the police patrol. Was there an obligation for the police to arrest, rather than kill, the suspected members of a guerrilla group? Under the IHL of international armed conflicts? Under IHL of non-international armed conflicts? Under IHRL? 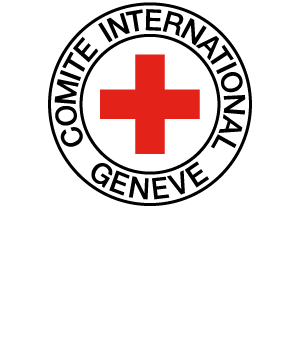 Under IHL, may a combatant in international armed conflicts, or a fighter in a non-international armed conflict, be directly targeted while he/she is trying to escape from the attack? Even if that person is not armed? If your answers to questions 3-7 under IHL and under IHRL differ, which law should prevail? Does it matter that the events happened in Bogotá and not in a place where fighting between guerrilla groups and security forces occurs?